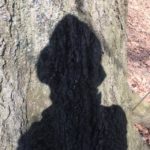 The frustration of encountering “unknown unknowns” is familiar to everyone, such as when some part of the body that we didn’t even know existed suddenly hurts and we don’t know what to do about it. And, sometimes, when we finally learn what will help alleviate the discomfort, it is not easy to do. Human society’s global warming problem has been and is still filled with “unknown unknowns”. For generations the possibility of global warming was totally unknown and then slowly its existence and the role of fossil fuel emissions slowly seeped into society’s consciousness. The prescription of reducing our use of fossil fuels, upon which we had created great dependence, met resistance, fighting against which has required significant effort. Knowing how much warming has occurred and how fast it is growing is important to this ongoing global conversation. However, the challenge of “unknown unknowns” has thwarted our measurement efforts. Both clouds and water were playing unknown roles; each, in different way, has masked the extent of our warming problem. 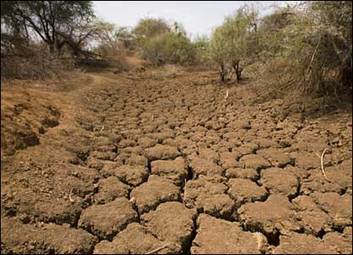 False hopes were raised by the slowing of the rise in measured global warming from 1998 to 2013, called the “hiatus” (2). 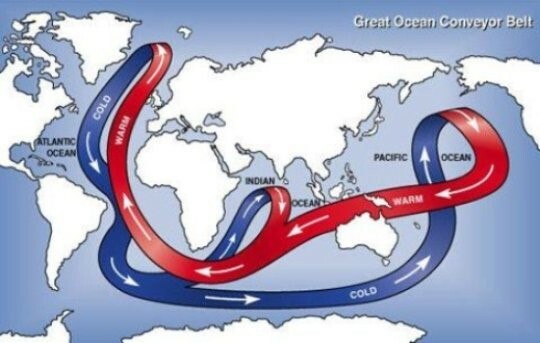 Scientists, however, observing the increase in heating emissions during the hiatus, knew the warming was going somewhere, and some theorized that the deep ocean (below 1000 feet) was the recipient (3). Attention is paid to ocean warming indicators for oceans cover 70% of the planet and have temperatures steadier than those on land, making them the most reliable gauge of warming (2). 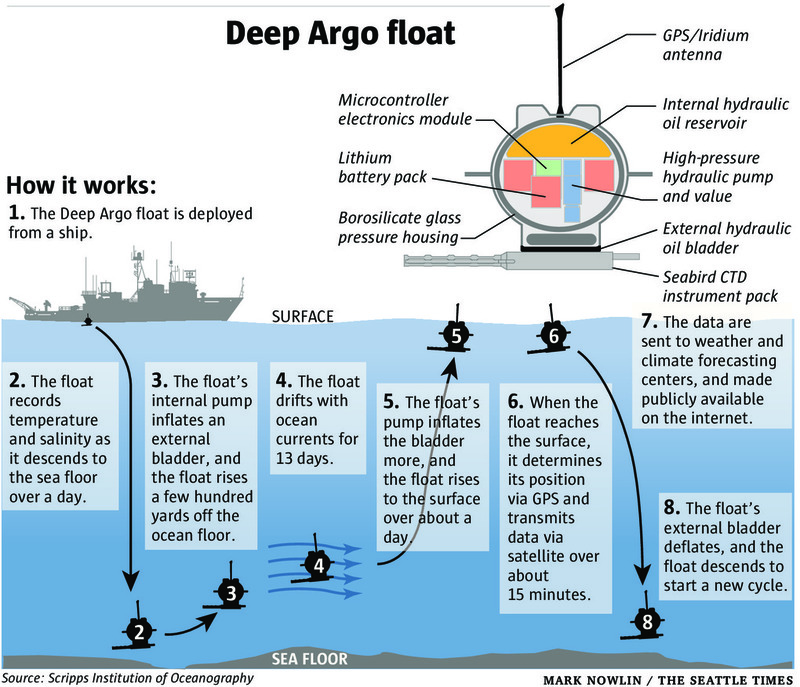 However, our measurement system used to be directed at the upper 700 feet of ocean, relying on relatively few disposable devices (bathythermographs) which collected and sent ocean data only once as they sank to the depths and died (1,3 .4) Since 2005, a fleet of 4000 data collecting robots, called the Argo, began to traverse the oceans, making the trip to 2000 feet every few days, gathering and transmitting information on the upward journey(1,4). With this rich collection of data, supplementary information newly available from satellites, and climate models improved to account for ocean current interactions, by 2011 scientists determined that ocean currents, during certain periods such as the hiatus, push the heat from emissions deep into ocean waters below 1000 feet and do this for periods as long as 10 years(1, 3). As a result of the new data and modifications, climate models can now explain the past and are therefore considered reliable for predicting the future, and rising temperatures are predicted. Because projections include more hiatus phases, (probably during “La Nina” episodes when the ocean currents are cooler in the tropical Pacific), it is critical that we monitor the ocean below 2000 feet to explore the consequences of this deeply stored heat (1). The oceans have taken in 93% of the effects of global warming and the increased warmth of the oceans has been feeding the violence of storms and causing acidification which has been bleaching coral reefs, and melting of glaciers (1,2,12). The improved measurement system now in place indicates that the oceans are, in general, warming even faster than previously predicted (2). In sum, heating emissions are undermining the human habitat at a more rapid pace than we had previously understood, signaling an even stronger need to reduce greenhouse gas emissions. Diminishment of dimming is clearly desirable, but not unproblematic, for less dimming means that more sunrays reach the earth. In fact decline in fossil fuel use in the world has, by cutting particulate pollution, reduced dimming (called brightening). Creative balanced policies are being sought to reduce greenhouse gases even more to offset the extra heat from brightening. ( 6,7,9) Simultaneously, controversial proposals to provide humanity more time to reduce the greenhouse effect by creating temporary artificial dimming exist. Harvard scientists have scheduled a dimming experiment for the first half of 2019 (8) Such proposals have encountered serious objections; dimming has known negative side effects and as yet unknown negative effects could result from artificial dimming( 7). Exacerbating our disturbing dilemma is the fact that in the US federal government environmental leadership has gone from inadequate to counterproductive and has been destructive of established protections. A new film entitled from” Paris to Pittsburgh” (viewable on-line) documents how local and state governments and communities have responded to this abdication of responsibility by taking steps to lower carbon footprints and creating alliances to increase the strength and extent of the impact of their policies (11) . 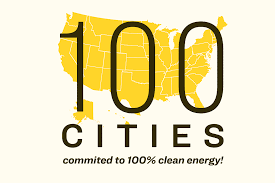 One hundred US cities have now signed a pledge to transition to using 100 % renewable energy (10). And finally, in the new Congress, a proposal for a federal plan to reduce climate change, called “the green new deal”, is circulating (13). The uncomfortable facts we have learned about deep ocean warming and the inconvenient nature of global dimming signal that we must use all of our creativity to shape realistic policies. This worthy challenge is a call to all of us inform ourselves and to work with others do what we can. 12. Goodell. J. 2017. The New Climate Land, Chapter 3 in The Water Will Come. Back Bay Books. Dr. Joan Hoffman is Professor Emerita of Economics and founder of the Sustainability and Environmental Justice Minor and Program at John Jay College of Criminal Justice. She has authored varied articles and books on sustainability issues.